Here is a an extract from an A Level Portfolio basedon the theme of Identity. You can composition ideas for a final piece. Remember what I said about creating a mini final piece for your Set Task – this ensures you know what you are doing with your final outcome and that you are confident with the materials you are using. 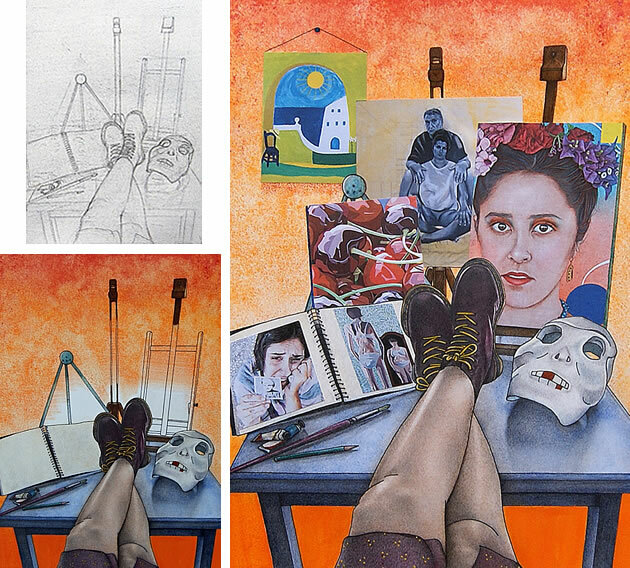 The student artwork was taken from the Student Art Guide – a brilliant website showcasing GCSE and A Level Art coursework from around the world. I am an Art Teacher based in the East Midlands. Love all things creative and especially helping out my students. Have fun reading.